“It took only a few seconds to make that change. A decision and then a result. I was too busy at work so I just finished reading it last Saturday and today with the review. I’m always thankful that I still find time to do the things I love amidst all the chaos at work. Anyway, moving forward I finally manage to take time and do this right now. I was intrigued by this book’s title and description that’s why I picked it up on Netgalley last, last week. 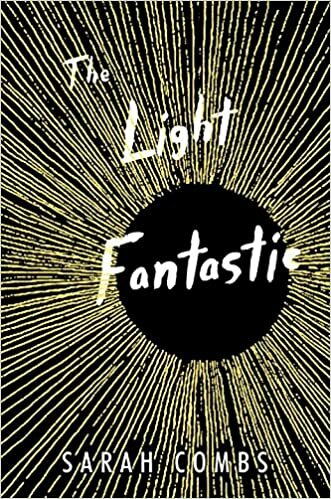 So, here it goes… My book review of The Light Fantastic by Sarah Combs. April knows she’s different ever since she was a child. Her friend told her that she have this “live wired” mind. She can remember all of the things that happened to her in details like when her childhood best friend Licoln Evans left her a jar of pennies to say goodbye. Licoln Evans tries so hard in his class and tries hard not to be distracted by his mysterious classmate Laura Echols, his long time crush. Laura Echols has a secret only Licoln didn’t know. It shatters her to pieces, breaking her heart and soul. Pheobe is becoming to obsess with the online forum and “The Plan” it is eating her alive. This about 8 uniquely different young souls whose faith are interwoven by decisions and consequences of heartaches and shame. I did not expect what I found in this book. I thought it was a tangled up teenage love story, but how wrong I was. I was absolutely absorbed by the story and always wanted to learn more about each character when I finish a chapter. I actually read this in one night! The Light Fantastic is an amazing read! Hands down to Author Sarah Combs. I love how this book was full of mystery, it was keeping me guessing who’s who?! Each character is unique and has a distinct voice. Not to mention #Gavin. His character made me smile a lot. Though I have trouble visualizing him. I’m not sure if I would visualize him as a cool gay or a hunk cause of his athletic description. I really enjoyed reading his part and really loved his character. Also loved Idaho and April and her very interesting capabilities. Having to learn issues these teenagers handles most of their lives, how they struggle. I think this book has a very powerful message. The story will require you not to judge their decisions but instead, you need to understand why they decided to do it. Very compelling and an absolute must read. 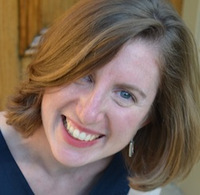 Breakfast Served Anytime, Sara Combs first young adult novel. She works at a nonprofit literacy center in Kentucky. Support the author by buying The Light Fantastic.